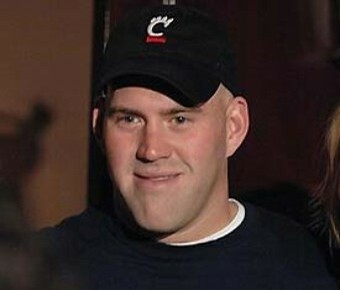 Kevin Youkilis’ Beard is a Whore. Do you really want this face representing angry drunk New Englanders? I, along with most other guys, have long been fascinated with great facial hair. From Chuck Norris’ beard (which actually has fathered three children, one of whom is James Bond), to Shaq’s ever changing array of looks, the facial hair of great men has a large impact on the fate of this country. 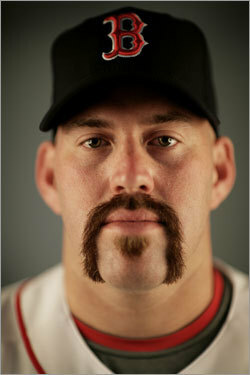 That is why when I heard that Youk might go clean shaven for Opening night, I was aghast (vocab word). 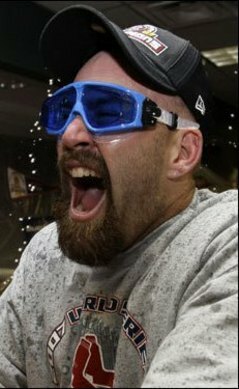 As it turns out, this whole thing is a fundraiser for Youk’s Hits for Kids, an incredibly worthy charity which helps bring in money for all manner of local children’s charities. that said, the beard will still do whatever you want for the donation, much like Butters’ girls, which makes it a whore. The way it should be, screaming, drunk, and covered with booze. The only problem with this frankly brilliant fundraiser is that people have been voting for the goddamn clean shaven look. Really, you people want the baby faced, ugly Kevin Youkilis from 2004 to be representing us and trying to intimidate pitchers? That won’t work out for anyone. I’m for the full on complete third fist beard. It has everything; size, strength, the ability to transform into a big rig to save the world from Megatron, and, most importantly, covers up a Jay Leno quality chin. So please vote. Please vote for anything but the clean look, even the moustache. 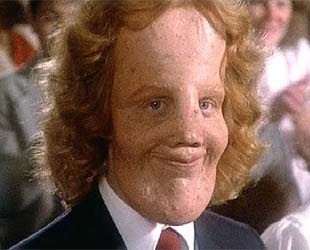 It goes to a good cause either way, and this way our first baseman wont look nearly as much like the kid from Mask.